Dashing doodles at Camber Sands? People say you make friends through your children and your dogs and this certainly was the case for us from the moment we collected our black cockapoo puppy, Dante, three years ago. At the time we lived in London where the general street rule is: “Look straight ahead, don’t make eye contact and talk to nobody.” However this demeanour goes right out the window when you have a dog; all of sudden passers-by want to say hello to the dog and tell you about their childhood pets and other happy stories. One of the first people we met in Kensington Gardens was a lady called May and her two pooches Darcy, the apricot cockapoo and George a handsome street mutt from Hungary. In fact I should point out the dogs met before we did. As the dogs got to know each other we started chatting and sharing doggie stories. Over the weeks our dog-walking routines frequently coincided, Dante saw more of Darcy and George and we got to know May. 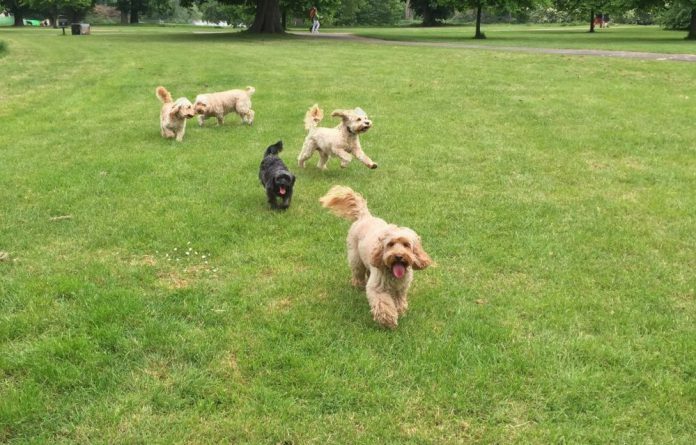 We learned that May organised monthly Hyde Park Doodle Meets, where doodles and their owners come together to let their pooches ‘doodle dash’ while their humans catch up on their news. Since moving to Rye we’ve missed these meetings and it would be lovely if we had something similar locally. Dante is excited that Darcy and George are coming to visit him in Rye for a long weekend in March. He can’t wait to show them his new favourite haunts, particularly Camber Sands and Rye Harbour. If you have any type of doodle, from a Yorkie-poo to a labradoodle and would like to meet others for a ‘doodle dash’ please join us and meet Darcy, George and Dante at Camber beach on Monday March 5 at 10:30am. More details can be found in the events section of the Cockapoo Owners Club (UK) Facebook page or by contacting me via Rye news. Am I allowed to bring a cocker without any poo in him? Im not sure he even knows hes a dog! Of course! We’d love to see him.! We will be at the main Camber car park, by the burger bar at 10:30 on Monday! See you there! Hi Jackie, we will meet in the main Car Park at Camber Sands, the post code is TN31 7RH. We will be there at 10:30 outside the Burger Bar. Look forward to seeing you! Will you be holding anymore doodle dashes? 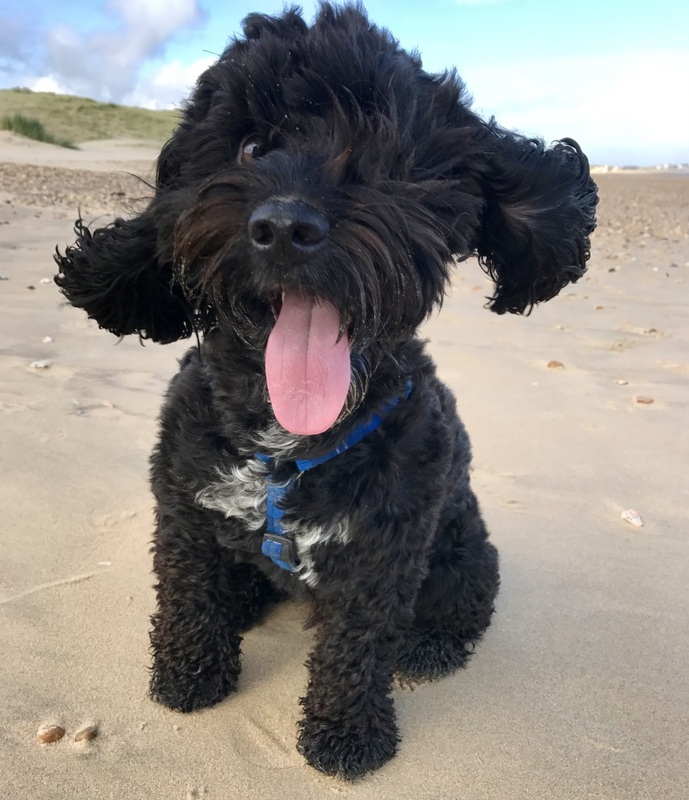 We’ve heard of a cockerpoo 1st Sunday of the month date on camber sands… Do you know anything about it? When is the next Doodle meeting at Camber Sand pls ?